The MITRE Innovation Program has produced the Universal Access Transceiver (UAT) Beacon Radio as a lightweight and cost-effective means for unmanned aircraft systems (UAS), gliders, and skydivers to alert other airspace users of their presence. This device is based on Automatic Dependent Surveillance-Broadcast (ADS-B), a surveillance technology used in an increasing number of aircraft. 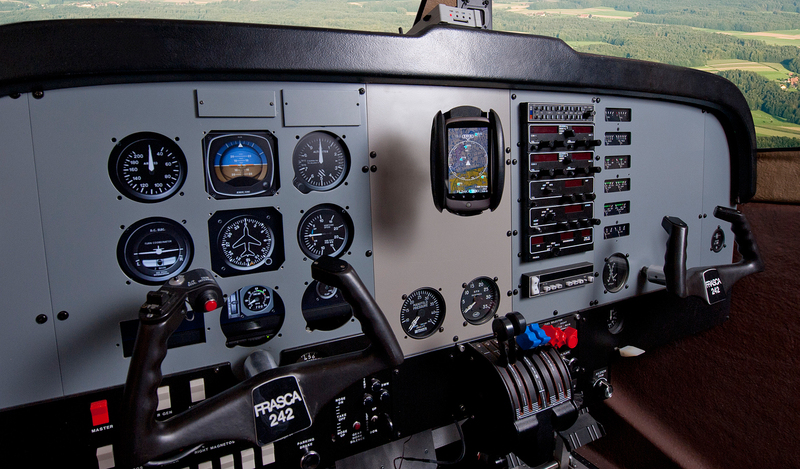 ADS-B uses Global Positioning System (GPS) technology to determine a plane's location, speed, and whether it is climbing, descending, or turning. It then broadcasts this information once a second. This information is available to air traffic controllers as well as other aircraft equipped to receive these signals. Commercial-grade ADS-B avionics are relatively large and heavy, and they require power generated from aircraft electrical systems. This makes them unsuitable for smaller aircraft and aircraft without engine-driven electrical systems. MITRE has been involved in developing ADS-B since the early 1990s and began working to address this gap by inventing the UAT, an ADS-B technology for small aircraft and aircraft operating in the lower altitudes of the U.S. National Airspace System. They realized that a solution for UAS and other small aircraft would be the same type of technology in a much smaller package. They therefore set about developing the UAT Beacon Radio. About the size of two decks of cards and weighing 9.6 ounces, the UAT Beacon Radio is a battery-powered transceiver suitable for a large population of airspace users ranging from small UAS to gliders, balloons, commercial space vehicles, and skydivers. Its small size, light weight, and low power consumption enable it to be easily integrated into a battery-operated UAS with a small payload, affixed to an aircraft glare shield, or attached to a skydiver's person to alert other airspace users of their presence. When the UAT Beacon Radio is coupled with a portable graphical display, the pilot is able to see nearby air traffic and receive real-time weather information services from the Federal Aviation Administration. There are many applications of the UAT Beacon Radio that expand on the theme of aircraft situational awareness. First, high value applications include national emergency and natural disaster scenarios where many different governmental and civilian organizations come together with air and land mobile assets. Portable UAT Beacon Radios enable the rapid deployment of low-cost surveillance technology that greatly enhances the situational awareness of the aircraft operators and the incident commanders. Furthermore, this technology enables manned and unmanned aircraft to operate in controlled airspace safely. Second, a representative asset-tracking application involves deploying UAT Beacon Radios on large numbers of small UASs and autonomous vehicles during maneuvering exercises or test events. The objective is to enable the range manager or test conductor to easily identify and locate the movement of these assets independently of the control links associated with each vehicle. Third, a search and rescue application may be employed by organizations like the Civil Air Patrol to monitor the movement of aircraft and ground teams to improve search coordination and efficiency. MITRE's UAT Beacon Radio is a prototype built to UAT standards (DO-282A), but is not FAA-certified for commercial sale or use in the national airspace. The UAT Beacon Radio technology was made available in 2007–2011 for non-exclusive, royalty-free licensing as a reference design for commercial interests looking to develop UAT ADS-B systems. Several commercial offerings based on MITRE's design are on the market today and are being used by tens of thousands of general aviation pilots. Keeping Track of Unmanned Aircraft by Overcoming "Lost Links"
Want to learn about the latest advances from MITRE's researchers? Subscribe to our monthly email newsletter today.